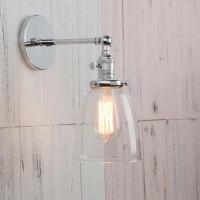 What you are looking at are Industrial Style Clear Glass Wall Lamp Antique Vintage Sconce Light. 2.Price does not includes installation expense. 3.Color may be a bit difference from pictures due to the various of different PC/Mobile phone. Please confirm you agree this condition before bidding. Thanks so much for your support ! 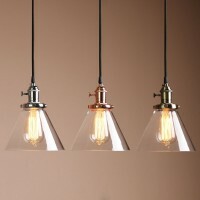 Shade : ................... Hand blown, shade may have a slightly uneven shape and glass may contain small bubbles. 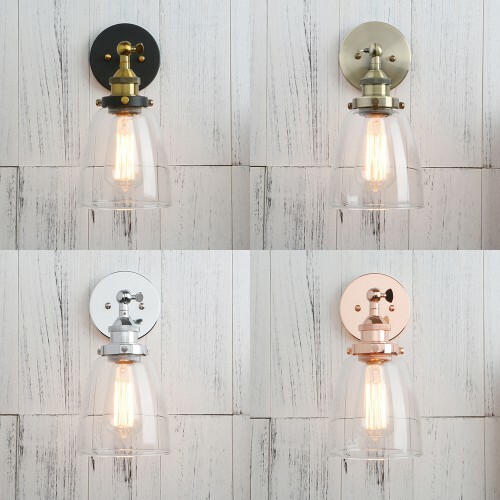 Bulb Wattage : ........ 60 max wattage for use with this fixture.40wattage filament ones recommended. 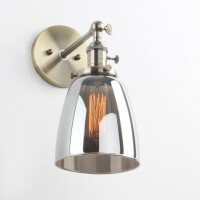 Wattage 60 max wattage for use with this fixture.We recommend 40wattage one(be better). 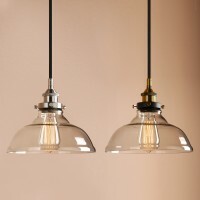 ABOUT PRODUCTSOVERVIEWWhat you are looking at are Funnel Glass Shade Shape Industrial style Pendants..
ABOUT PRODUCTSOVERVIEWWhat you are looking at are Vintage Industrial Lamp Glass Flushmount.it is an ..
ABOUT PRODUCTSOVERVIEWWhat you are looking at are Vintage Industrial Pendant Antique Clear Glass Sha..